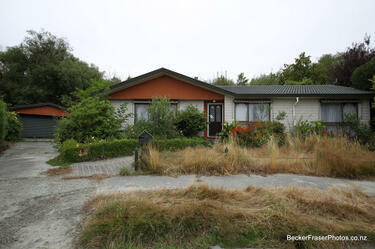 A photograph captioned by BeckerFraserPhotos, "A residential property on Jean Batten Place in the Horseshoe Lake district". 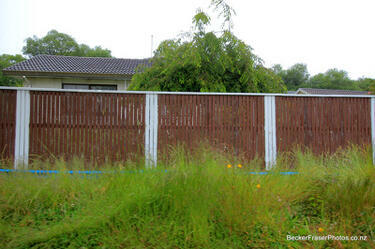 A photograph captioned by BeckerFraserPhotos, "Residential properties on Jean Batten Place in the Horseshoe Lake district". 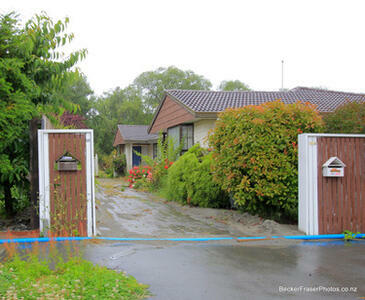 A photograph captioned by BeckerFraserPhotos, "Liquefaction covers a driveway at Jean Batten Place in the Horseshoe Lake area". 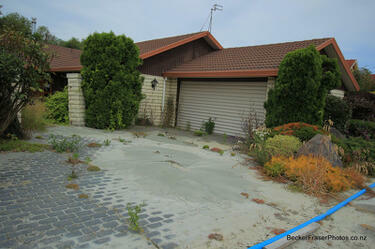 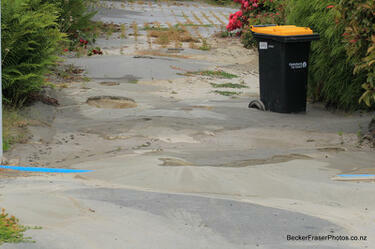 A photograph of liquefaction on a residential property on Jean Batten Place in the Horseshoe Lake district. 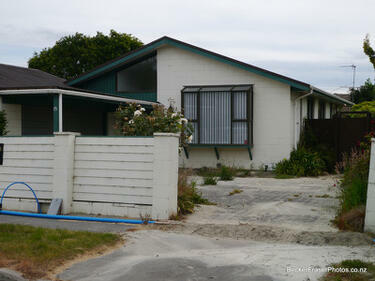 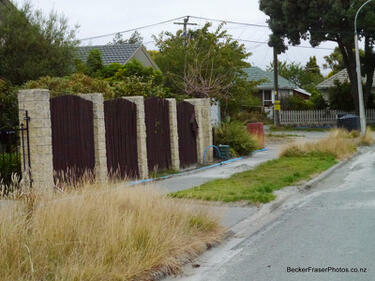 A photograph captioned by BeckerFraserPhotos, "You can recognise the houses where someone is still residing by their neat lawns amidst a street with mostly long grass verges. 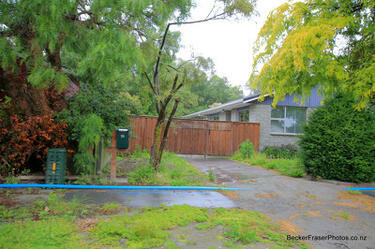 Jean Batten Place, Horseshoe Lake, Burwood". 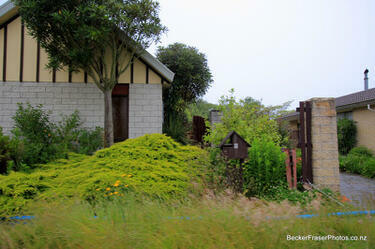 A photograph of a house with an overgrown garden. 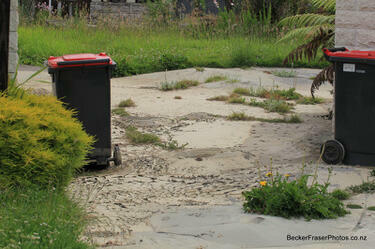 The photograph is captioned by BeckerFraserPhotos, "Jean Batten Place, Horseshoe Lake, Burwood". 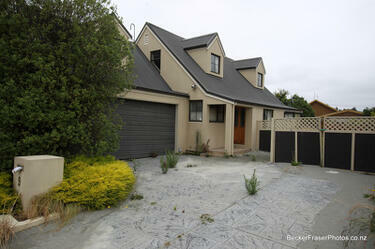 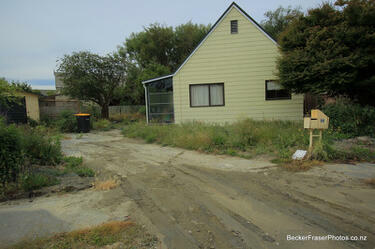 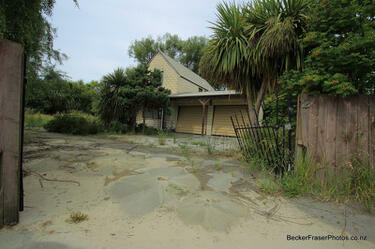 A photograph of a house surrounded by liquefaction silt. 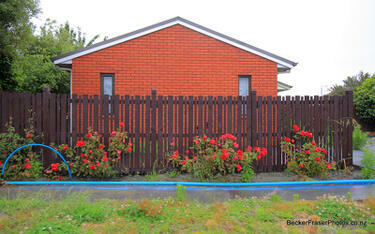 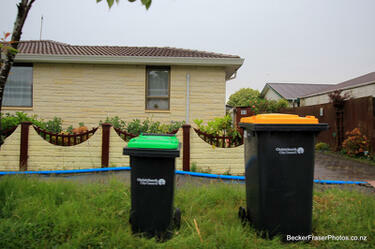 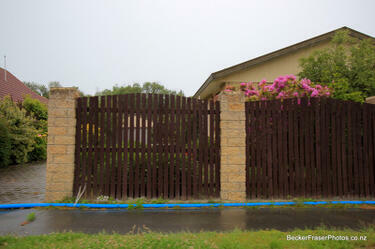 The photograph is captioned by BeckerFraserPhotos, "9 Jean Batten Place, Horseshoe Lake, Burwood". 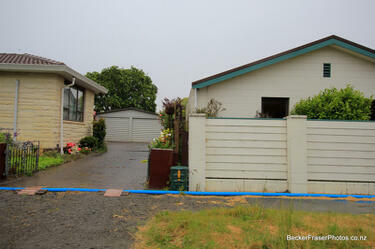 A photograph captioned by BeckerFraserPhotos, " Liquefaction covers a driveway at Jean Batten Place in the Horseshoe Lake area". 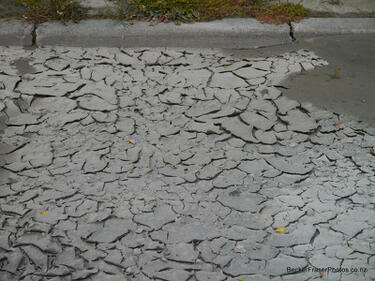 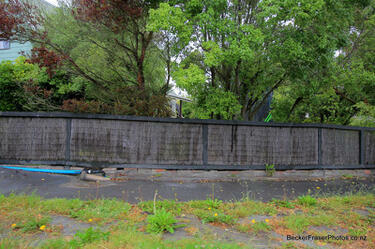 A photograph captioned by BeckerFraserPhotos, "Liquefaction on Jean Batten Place in the Horseshoe Lake area". 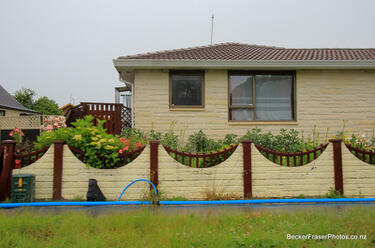 A photograph captioned by BeckerFraserPhotos, "A residential property on Jean Batten Place in the Horseshoe Lake area".